A former officemate introduced me into this kind of stuff, a stuff where I express what I want to say and share my happy moments and became my outlet of anger and sadness. It's been 7 years since I started blogging. Initially, I used the Friendster blog function and it lasted for almost a year. Then, I was introduced to blogspot.com and after two years, I bought my own domain. Blogging isn't' just about sharing things over the internet but it also influences and/or inspires others. Some of my friends started their own blog too. So if you are planning to start a blog, you should consider several things in order to accomplish a site that will reflect your identity and that you will treasure and love. You need to have a passion in writing and able to share several things without limitations. Choose a free blog host and select some available templates initially. Choose the color that will emulate your personality and title that will suit your site. As a beginner, don't be too cautious with grammar but ensure that what you are saying can still be understood. When I reviewed my old posts, I was laughing at myself the way I wrote those things, maturity will come naturally. Select a topic on which you are interested and can share personal experiences. Don't forget to put citation or credit to the sources that you used like images and some statements. 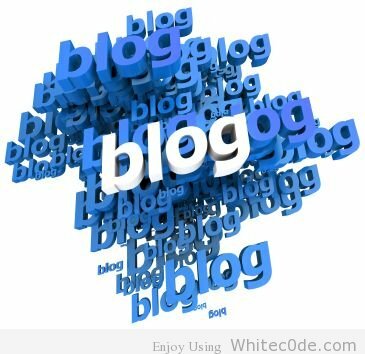 Allocate time in updating your blog. Treat it as software that needs an update continuously. Ask for some opinions and suggestions from other bloggers on how you can improve your blog and its contents. In expressing thoughts and opinions, always consider to gather information first. Don't speculate and apologize if necessary. Blogging is also like journalism, be responsible in every post that you will make and take ownership of your actions. Just be true to yourself and don't hide anything that can be a hindrance in elaborating a certain topic or issue. Read other blogs and learn some technique but never imitate. Add some widgets on your site. These things are available over the internet and mostly are free. After few years, you will realize that it was like doing an online diary. But trust me, it is fun to read old posts and it brings memories of the past. Blogging is not that simple but if you have dedication and passion it will be a piece of cake.